NASE Results: Candidates of the waiting list of the competitive entrance examination into the first year of the National Advanced Scholl of Engineering (NASE Results) of the University of Yaounde 1, for the 2014-2015 academie year. Home » Official Results » NASE Results: Candidates of the waiting list of the competitive entrance examination into the first year of the National Advanced Scholl of Engineering (NASE Results) of the University of Yaounde 1, for the 2014-2015 academie year. 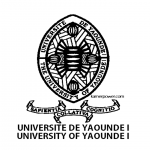 School of Engineering (NASE Results) of the University of Yaounde 1, for the 2014/2015 academic year. 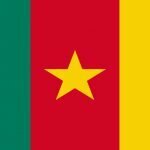 Candidates are required to report to the National Advanced School of Engineering (NASE results) of the University of Yaounde 1, for registration formalities. Previous story ESMV Results: Candidates of the waiting list into level 1 of the cycle of veterinary Doctor of the School of Veterinary Medicine and Sciences of the University of Ngaoundéré for the 2014-2015 academic year.